All in all, 2016 was another good year for this small, all-volunteer organization. The Build a School in Africa project is still going strong – by early spring we had finished our 15th school, in Tiogola, and our 16th, in Nimporodioula (villages in southern Mali, in West Africa). The school in Tiogola was mostly financed by the international fan clubs of a Korean “boy band” called Super Junior in honor of its 10th anniversary. They are now raising funds for an 11th anniversary school project. They got a late start, so my trip to Mali has been moved forward to January. In January, 2016, in Nimporodioula, the temporary shelters made of straw mats lashed to a pole framework were replaced by durable cinder-block classrooms, creating much better learning environments for the students. This was the third school mostly financed by a California tech company, which had also built schools in NʼGolokouna and Gongasso in the previous two years. 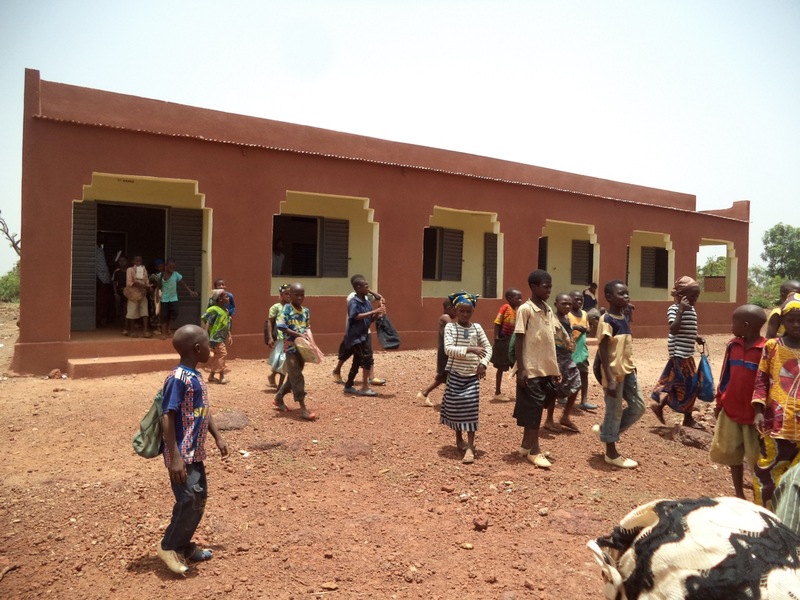 In January 2017, weʼll break ground on school #17, in the community of Doumanaba. 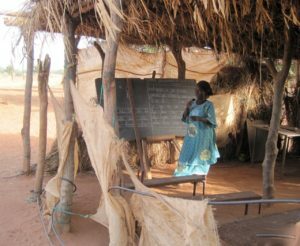 Presently, Doumanaba is holding 3 classes in the dismal building pictured below. These were built as storerooms used for grain and cotton, not as schools. We will be building 3 new classrooms for the community. 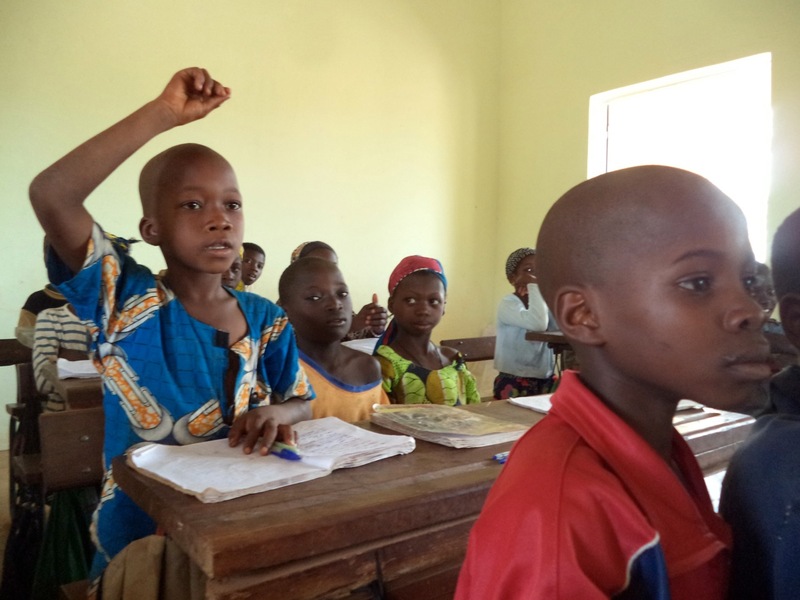 Villagers will be providing the usual “in kind” contributions of land, sand and gravel, and unskilled labor, and also some cash funding for the third classroom, as our usual $15,000 contribution will build just two classrooms, plus an office, storage room, and latrines. 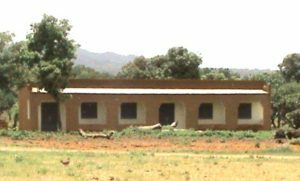 As you can imagine, the people of Doumanaba will be very happy to trade this building for a bright new school like the others on this page. Building in Doumanaba where children are attending school. It was originally built as a warehouse and does not have adequate light or ventilation. 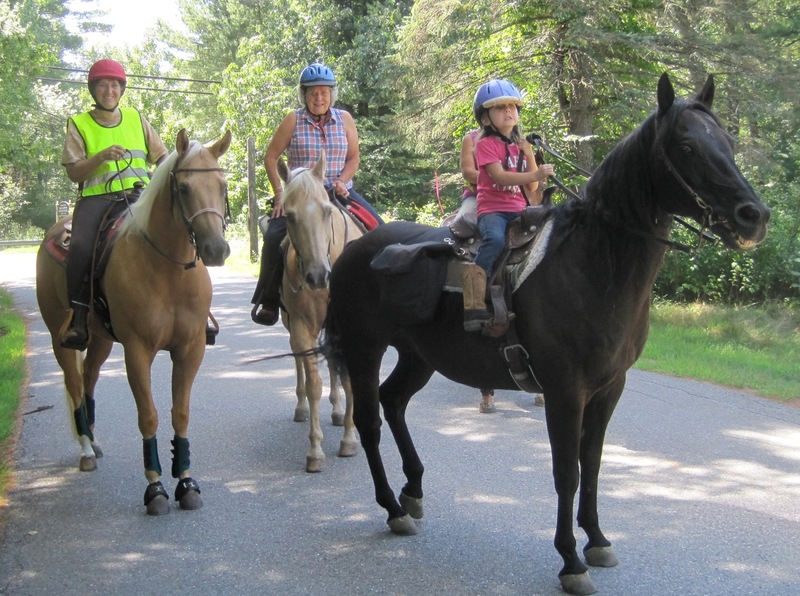 Our benefit trail ride on August 21, 2016. We had 40 riders, who could choose to ride 7, 15, or 20 miles of beautiful woods trails, followed by a home-cooked 5 course African buffet dinner. 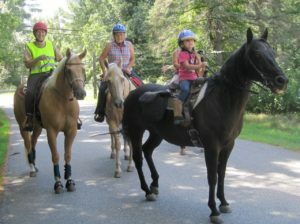 The youngest rider (on the black horse) was only 4 years old, and she rode 15 miles. Our oldest rider was 80. Many thanks for your support! We couldn’t do it without you. Very best wishes for a happy holiday season and a joyful new year.